Additional Information: Sold as a complete set via retail outlets. 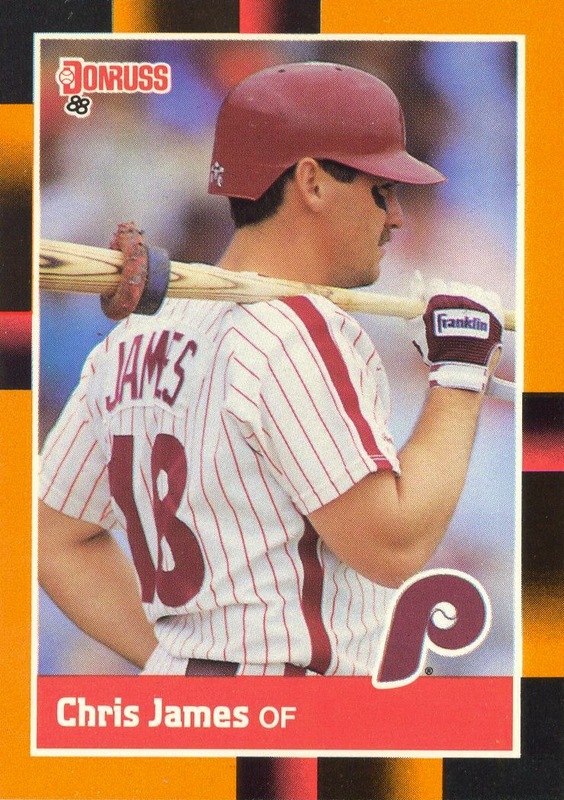 The front of the cards utilize the same design as the regular 1988 Donruss set, with all-new photos and orange very noticeably replacing blue in the geometric border. 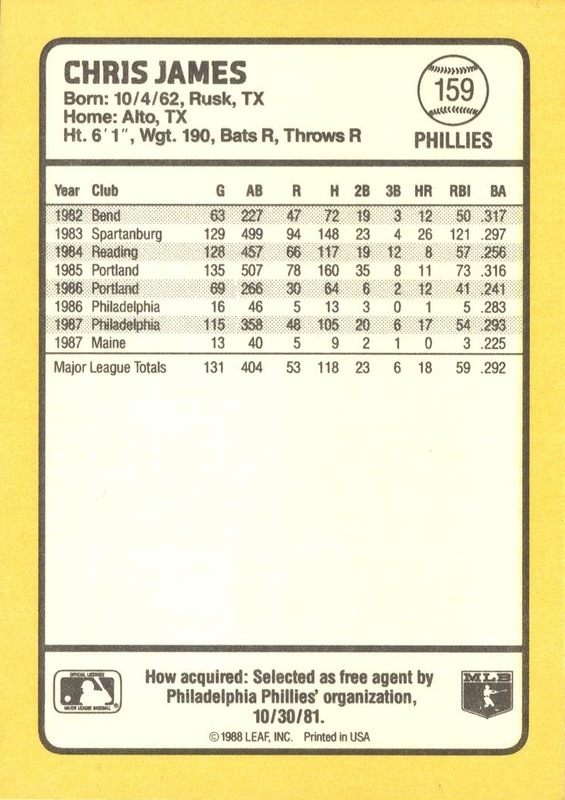 A change in the design of the back of the card, however, allows these cards to show complete career stats, including minor league numbers, for almost every player in the set. Because it was released mid-season, it incorporates offseason transactions that weren’t reflecting in the regular Donruss set — most notably, for Phillies collectors, is the update of Phil Bradley.